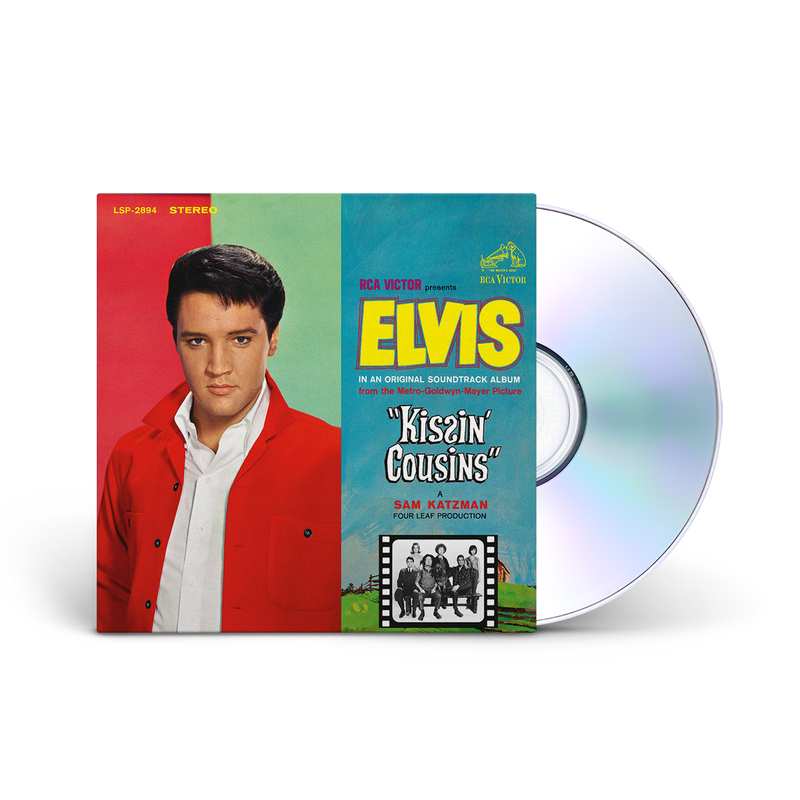 As part of its CLASSIC ALBUM series, FTD is pleased to announce the release of the original soundtrack album for “KISSIN’ COUSINS.” It features unreleased outtakes, rarities and an informative illustrated 16-page booklet with rare memorabilia, movie trivia and photos. Due to the small amount of existing outtakes (as Elvis didn’t record with the band) it includes instrumental masters recorded at the RCA Studio in Nashville that show the great musicianship of the players. my favorite singer of all time anything he sings is great , i love all the ftd albums and this is a great web site thanks m.j. I just purchase the Kissin Cousins CD and Elvis in top form. This is a great CD and the bonus tracts are great because a few of the songs are a lot different from the originally released album. The last bonus tract where Elvis sings Tender Feelings without any music is amazing. Great CD for your FTD Collection. FTD “Kisdin’ Cousins” contains the same excellent recording quality as other FTD released. But this time around the format of presenting numerous “music &amp; background vocals” is unusual, yet pleasing to my ears. Also, the are several “Elvis ONLY vocals”, although you can faintly hear the accompanying music &amp; background tracks. I am assuming the source of this audio is from Elvis’ head phones. Although I enjoyed the material and presentation, I feel it is probably a lot of additional tracks/takes which were omitted; perhaps for the release of Kissin’ Cousins - take 2! Just a thought.